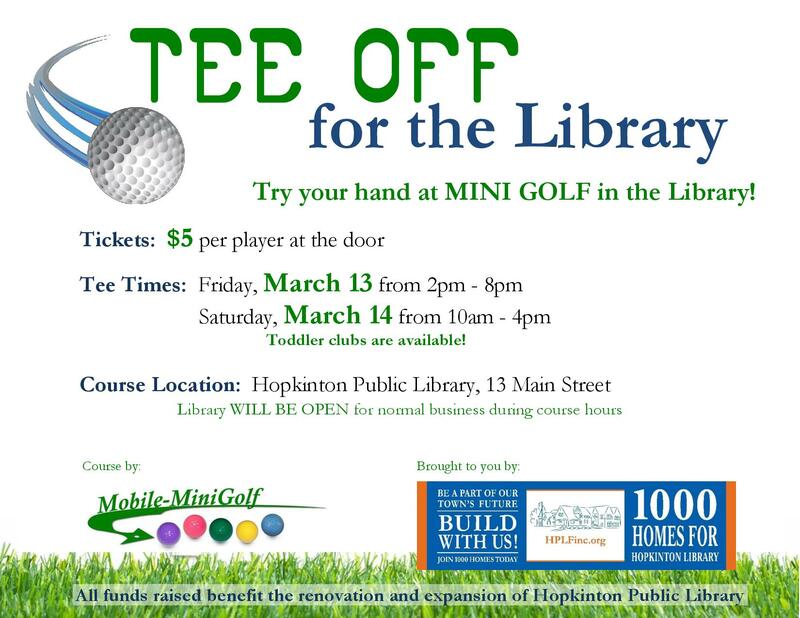 Time: 2 p.m. - 8 p.m.
On Friday, March 13, and Saturday, March 14, Hopkinton Public Library will be transformed into an indoor miniature golf course! 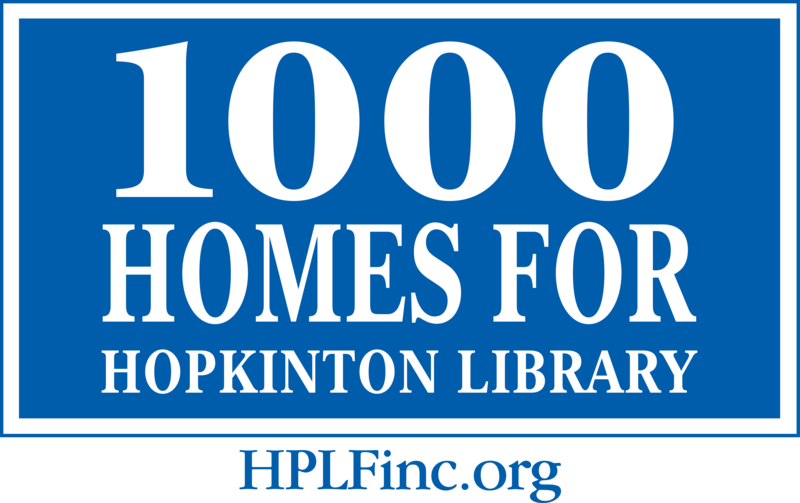 The course will be open on Friday, March 13, from 2 p.m. to 8 p.m., and on Saturday, March 14, from 10 a.m. to 4 p.m.
Last year, this unique fundraiser gathered 200 children and families, and raised $1250 for the Library renovation and expansion project. 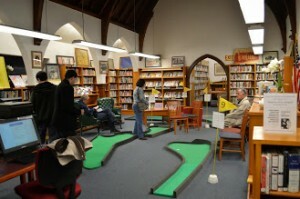 Golfers teed off on the first hole in the Children’s Room amid the picture books, playing the next four holes through the stacks of books for early readers. Golfers then made their way downstairs to hit shots in the Young Adult hallway and continued into the Main Reading Room where water hazards and sand traps awaited. The course finished on the 15th hole in front of the Library’s movie collection. Children proudly posted their “hole-in-one” and “hole-in-two” shots, writing comments such as “fun,” “awesome,” and “fantastic” on the Mini-Golf Wall of Fame.